In this entertainment program inspired by the world of the Pirates of the Caribbean franchise, a crew of pirates led by Captain Barbossa takes over Porto Paradiso in Mediterranean Harbor. In an attempt to recruit members for his crew, Captain Barbossa puts the Guests through pirate training with lots of splashing water. Just as the Guests and the pirates form a bond, Captain Jack Sparrow, the longtime rival of Captain Barbossa, makes an appearance. Guests will be immersed in a world of pirates through this thrilling performance enhanced with water and fire. 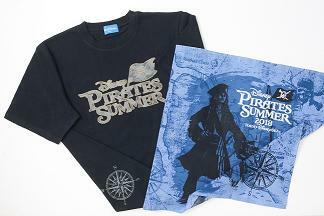 Guests can experience even more buccaneering fun with atmosphere entertainment and greetings presented during the “Disney Pirates Summer” event period. At Mediterranean Harbor, atmosphere entertainment features a game-element that uses flags to encourage Guests to join in some more pirate training. And Guests can look forward to meeting pirates with a variety of talents including acrobatics, music and comedy as these jovial pirates roam the Park during the event period. 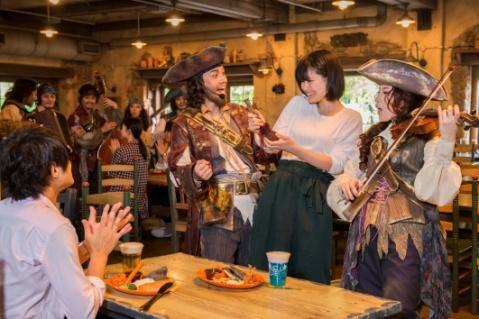 Guests also have the chance to meet the infamous Captain Jack Sparrow at Lost River Delta and Mediterranean Harbor. Presented in Miguel’s El Dorado Cantina at Lost River Delta, “Pirates’ Cantina Fiesta” will feature special menus themed to pirates and decorations that create the ambience of a tavern where rough and raucous pirates like to gather. While they enjoy their meal, Guests will also be entertained by a swashbuckling musical band formed with members of Captain Barbossa’s crew. Entertainment programs are subject to change or cancellation due to weather conditions. Also, the number of scheduled performances may change. 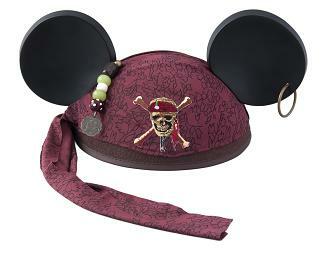 About 60 different types of products with designs inspired by the pirates theme will be offered during the special event. 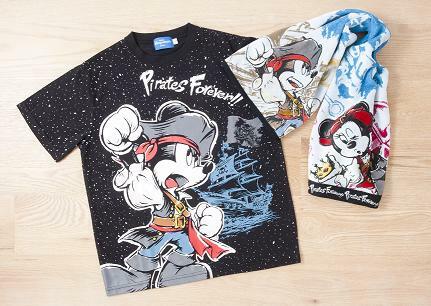 T-shirts and bandanas with “Pirates Summer Battle “Get Wet!” motifs and Captain Jack Sparrow designs will be available, and T-shirts and towels featuring designs of the Disney Friends as pirates will also be available. 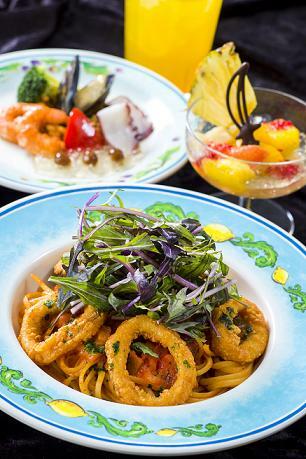 A final feast before setting sail is the theme for this year’s summer menus at Tokyo DisneySea and there is plenty for hungry pirates to sink their teeth into. 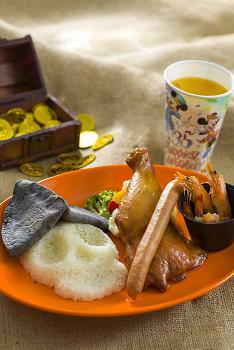 At Miguel’s El Dorado Cantina, Guests can enjoy hearty dishes to satisfy the appetite of the rowdiest pirate as the restaurant is transformed with the special program “Pirates Cantina Fiesta.” On offer will be a special set menu that features a skull-shaped serving of rice with chicken, and tacos made with black tortilla. 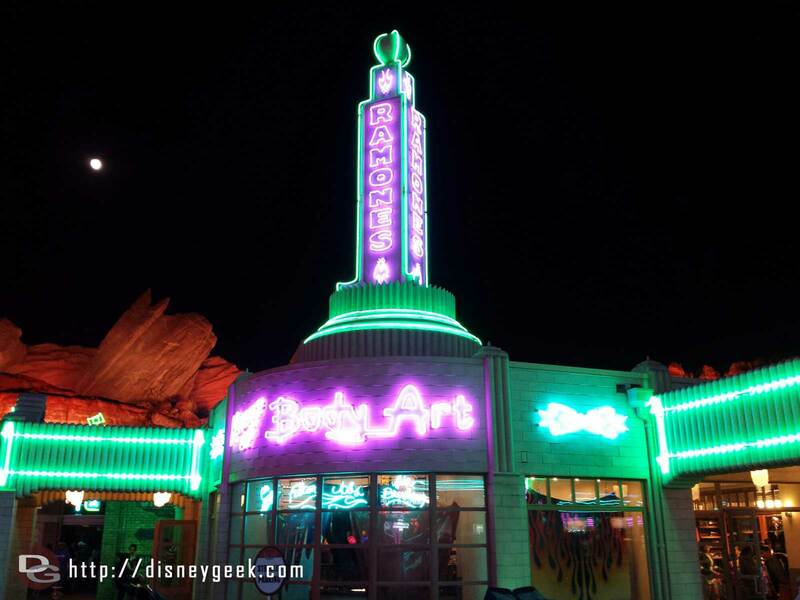 Cafe Portofino, decorated with flags and casks with designs of pirates and skulls, will offer a special set menu, while Mamma Biscotti’s Bakery and New York Deli will feature special menus with a pirate feel. Also available will be cocktails served in cups with a design of skull-and-crossbones perfect for toasting the joys of a pirate’s life, and a dessert with a souvenir featuring motifs of Mickey Mouse dressed as a pirate. 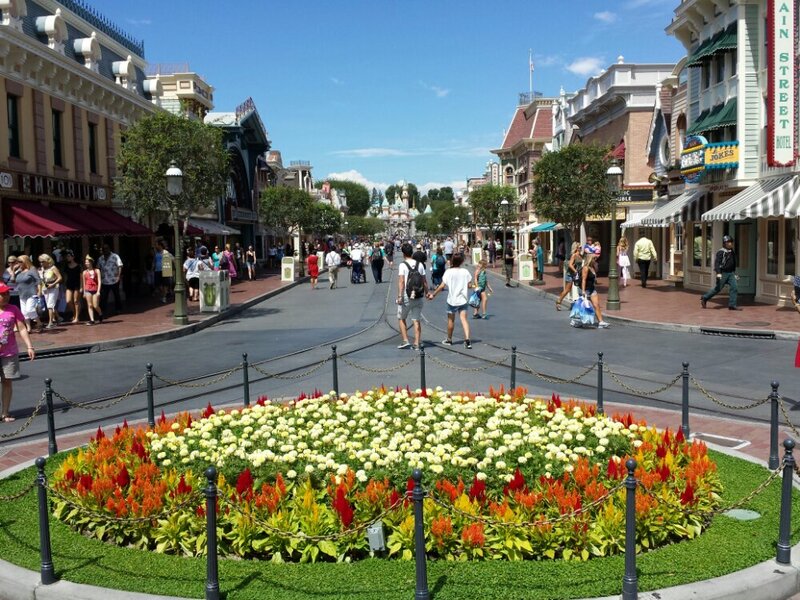 Around Mediterranean Harbor will be pirate-themed decorations including flags with the skull-and-crossbones motif and parasols in black and red. Also in the area will be photo locations where Guests can take pictures that make them look like they are on a pirate ship or locked up in a prison.